KOWLOON, Hong Kong (1 May 2016) – About a thousand supporters of the Members Church of God International’s (MCGI) charitable endeavors flew all the way from the Middle East, Asia and Oceania to Hong Kong to witness the “Labour of Love” benefit concert. 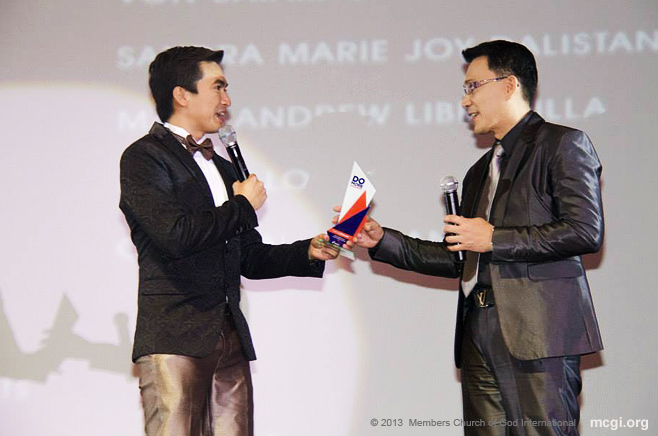 Held last May 1 at Club One in Kowloon, the benefit concert featured MCGI’s Assistant to Overall Servant Bro. Daniel Razon, who serenaded the crowd with timeless ballads and top-of-the-chart contemporary hits despite not feeling well. Bro. Razon is more popularly known as Kuya Daniel due to his broadcast stints and public service initiatives as CEO and Chairman of BMPI-UNTV. Always in full support of philanthropic endeavors is the Overall Servant to MCGI Bro. Eli Soriano, who also sang in the concert all the way from South America through live streaming. “We will use the proceeds of this benefit concert to help our poor fellowmen back home,” remarked Bro. Eli Soriano. Bro. Eli took the opportunity to discuss the different public services provided by MCGI in between songs. 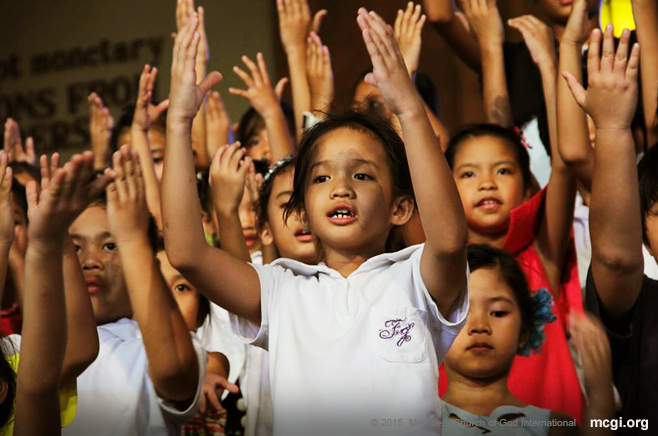 The charitable efforts of MCGI are continuous and ever expanding, with the help and mercy of God and through Bro. Soriano and Bro. Daniel’s leadership. One of the Church’s charitable efforts is the Medical Mission reachout effort, which provides free medical and dental assistance to our countrymen in barangays in the National Capital Region, far-flung areas and remote provinces. This effort is regularly carried out in partnership with local broadcasting channel UNTV. The La Verdad Christian College, the only tuition-free college in the Philippines, is also one of the public services started and being maintained by MCGI. Financially struggling yet deserving scholars get to study for free, with free books, uniform, board and lodging. Other ongoing charitable endeavors of the Church are the Infant Care Center, Munting Pangarap (Small Dream), Law Center, Libreng Sakay (Free Ride), orphanages and centers for youth and the elderly, among others. Through timeless love songs, Kuya Daniel narrated a story of love, which began with a man’s simple dream, which unexpectedly became a reality. The story eventually led to a common reality in today’s time: the struggle of long distance relationship between spouses. Kuya Daniel gave his advice for couples in the same situation. “Love your spouse like they will be taken away from you.” Kuya Daniel sincerely advised the audience as he went around the venue to connect with members of the audience. Bro. Daniel Razon, Assistant Overall Servant to MCGI, was surrounded by the overjoyed faces of the audience who grabbed the opportunity to take pictures with him. Bro. Daniel’s advices and song performance garnered high praise and appreciation from the concert’s supporters. “I never fully understood the meaning of the song, not until Kuya Daniel explained it,” remarked Sis Sheila Cuencaho of Hong Kong, who stated her appreciation of the song “Like I’m Gonna Lose You” performed by Meghan Trainor and John Legend. “I was overwhelmed. I never thought I can learn so much from a song – now, I will always let people feel loved; the kind of love that says: ‘I’m gonna love you like I’m gonna lose you’,” she added. His romantic duet with his wife, Sis. Arlene Razon, was also one of the evening’s highlights. Other performers of the concert were Bro. Victor Escobal, Bro. Pablo Martin, and Sis Lhady Leoncio from Hong Kong; Bro. Eric Perocho and Sis Lheng de Matos both from Macau and Bro. Eric Ferrer from Seoul. Some of the charity concert’s distinguished guests were the Philippine Consulate General in Hong Kong’s Social Welfare Attache Hon. Elizabeth Lim Dy and Consular Attache Hon. Hermogenes Cayabyab Jr.